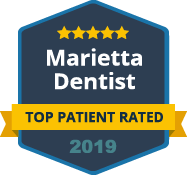 You may not be thrilled about getting a dental crown, but getting this protective restoration may be your only option for repairing a tooth and keeping it for several more years. Fortunately, it brings along these great benefits. A “cap” ensures that a decayed or damaged tooth can keep right on working. Your dental crown shouldn’t feel any different from a natural tooth. You can still enjoy all the foods you love. If you didn’t crown the tooth, you would eventually have to avoid chewing on that side of your mouth altogether. Your tooth may be a little sensitive for the first few days after getting a crown. But this is usually temporary. You’ll adjust to the restoration and soon be able to have hot and cold foods again. Without the crown, cavities or cracks in the tooth could make it extremely sensitive. Dental crowns are a key defense against more drastic procedures, like a tooth extraction. You’ll need a crown anyway after getting a root canal, but getting your tooth capped earlier could help you avoid that root canal altogether. White porcelain dental crowns blend in perfectly with natural teeth. You may need a dental crown just to fix a tooth with major cosmetic issues, if veneers aren’t an option. In that case, a crown is a lasting and gorgeous smile solution. Want to learn more about dental crowns or think you need one? 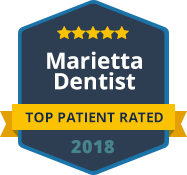 Find the perfect restorative dentist in Marietta right here at Dental Care Center at Kennestone.